Kanye West has rescheduled two dates on his Saint Pablo tour to support wife Kim Kardashian after she was the victim of an armed robbery. Reality star Kim was bound and gagged by a gang of five masked men carrying guns as they stormed her apartment in Paris, France, in the early hours of Monday morning, before making off with an estimated $10 million (R136 million) in jewellery. After giving a statement to police, Kim travelled back to America on a private jet, and was seen reuniting with husband Kanye at their apartment in Manhattan. 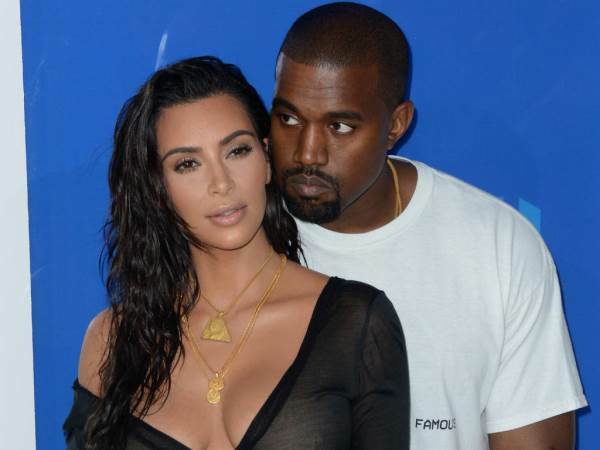 Now Kanye has delayed two dates on his current tour so that he can be with his wife following the horrific ordeal. His concerts at Wells Fargo Center in Philadelphia, Pennsylvania on Tuesday and The Palace of Auburn Hills in Detroit, Michigan on Thursday will now take place on 13 and 22 December, 2016 respectively. Tour promoter Live Nation cited "family concerns" for the date change, and reassured fans they will be able to use their original tickets for the new dates. Kanye was told about the terrifying attack on his wife as he performed at Meadows Festival in New York on Sunday night. He told the audience he had to cut his show short due to a "family emergency". Now sources close to the family have revealed the robbery has left the usually calm and collected Kanye feeling "helpless". "Kanye says that it has been one of the hardest days of his life, that he feels helpless," a source told People.com. "This is a guy who isn't used to feeling helpless at all. He's usually in control. And now he realises that he could have lost her, and there wasn't a thing he could do about it." The insider added that Kim is traumatised following the robbery and "bursts into tears every few minutes". And while Kanye is desperate to bring the men who attacked his wife to justice, he is well aware that he needs to be with Kim as she battles her fear following the robbery. "Kanye is ready to fly over there and take care of it himself," the source added. "He wants to find the men who did this to his wife. But he knows that the best place for him to be right now is with Kim. She needs him now. He won't leave her... She needs to be with someone all the time; she doesn't want to be alone."